Los Angeles, Oct 31 (IANS) Actor Mark Ruffalo says his “Thor: Ragnarok” co-star Chris Hemsworth is beautiful and super smart. “Chris Hemsworth is as close to a Norse god as you could possibly get. He’s talented. He’s beautiful. He’s super smart. He’s strong. 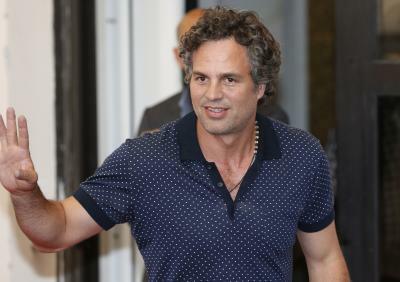 He’s a great actor, and he’s fun,” Ruffalo said in a statement. “What’s really fun about him in this movie is that he breaks loose. He’s free in way like Banner’s free in this movie. Thor’s character arc in this movie is great for Chris, too, because he’s getting to do things in this movie that he’s never been able to do,” he added. Ruffalo will reprise the role of Hulk in the third part of “Thor”, which also stars Hemsworth as Thor. Marvel Studios’ “Thor: Ragnarok” is directed by Taika Waititi and also stars Cate Blanchett, Idris Elba, Anthony Hopkins and Jeff Goldblum among others. The movie will release in India on November 3.